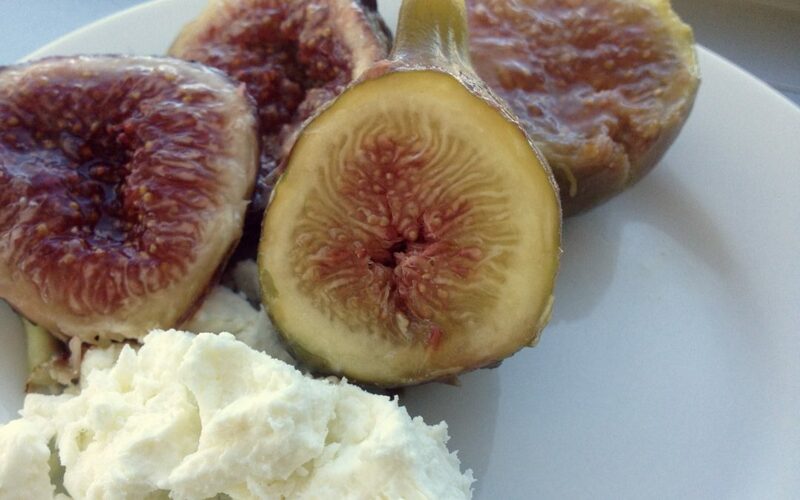 Fresh figs and goat’s cheese taste like decadence. They’re a perfect ending to any dinner in the summer, when fresh figs are in season. 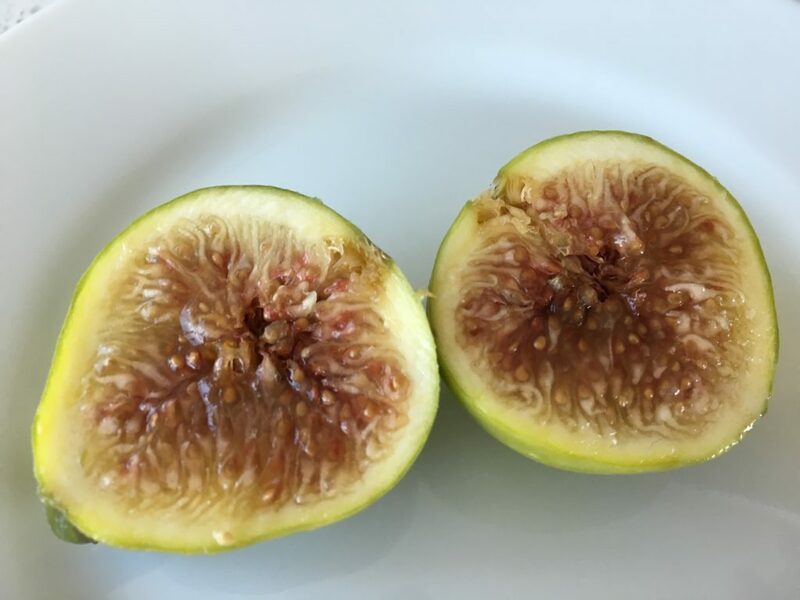 this dessert has some natural, healthy benefits: 1) it’s sweet with no added sugar, 2) the fiber in the figs will squelch any after-dinner hunger pangs, and 3) you get a nice dose of Vitamin A, Calcium, Iron, Vitamins B and K, Thiamine, Manganese, Potassium…and more. 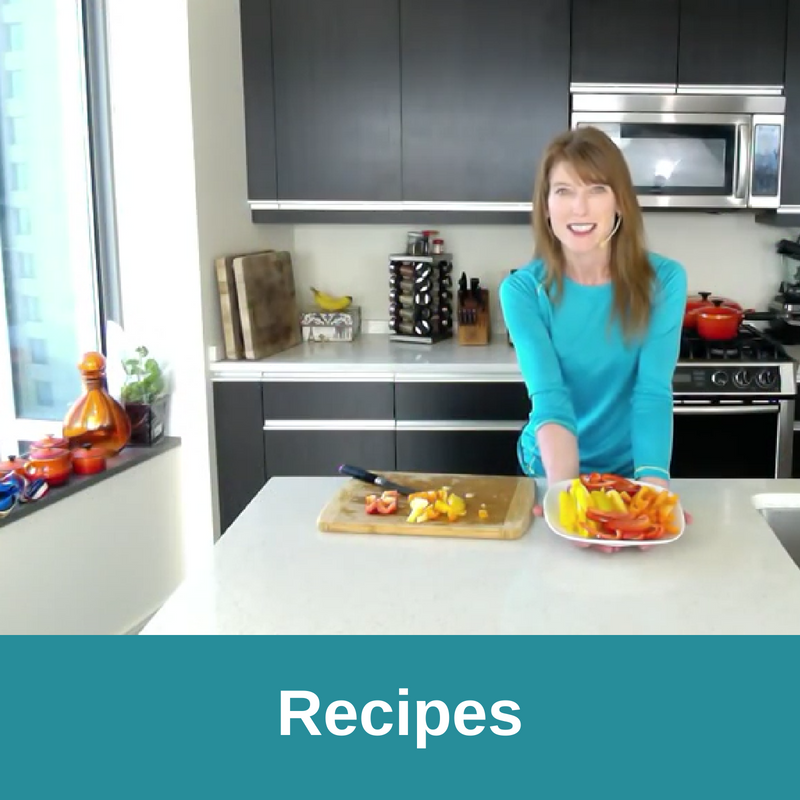 Scroll down for all the great nutrition details (some may surprise you). Offering up a perfect balance of flavors, this sweet, salty-creamy mix is a simple combination that’ll work after any meal and impress any guests you might have. Alternatively, you can serve them on a romantic evening – or just eat them yourself! Bring a taste of the Mediterranean to your home. 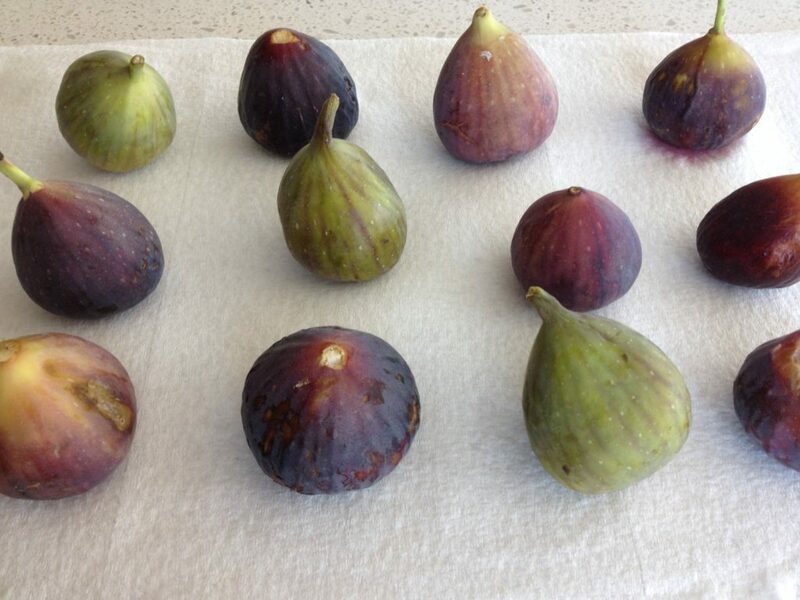 Fresh figs are in abundance on the Mediterranean coast in the summer and fall. When visiting family on the coast of Italy during these seasons our dinners are always followed by a plate full of fresh fruit, including figs and cheese. 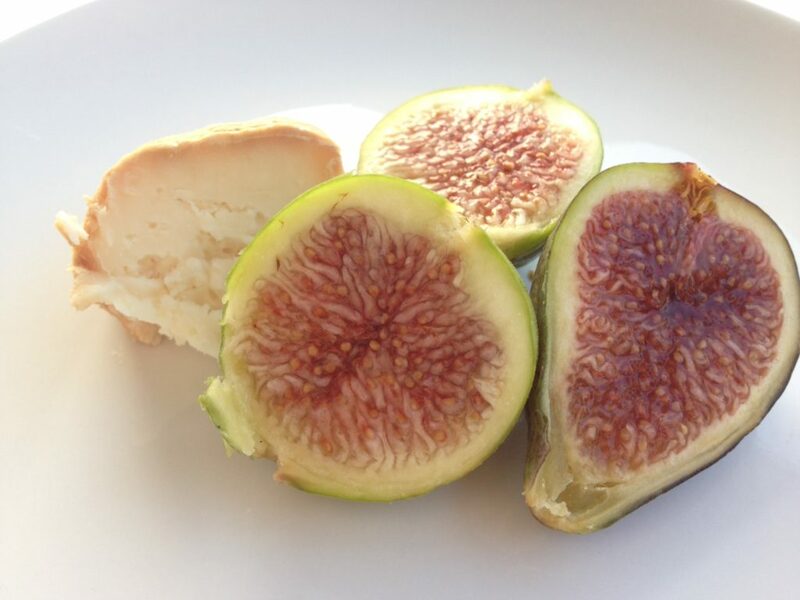 You can find fresh figs in the US markets from mid-summer through October. Like any dessert, eat it in moderation because the calories can add up. (And of course, only have dessert after a balanced meal.) 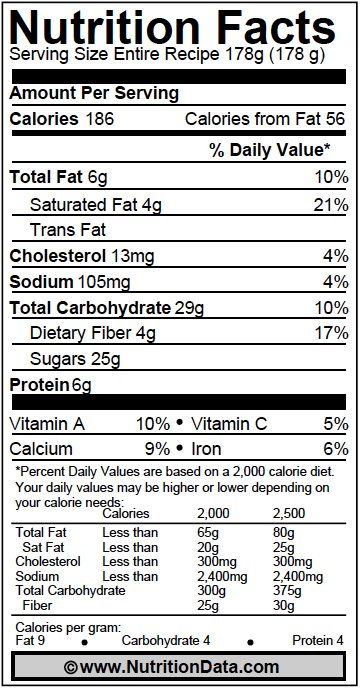 And the nutrition info below will show that you’ll get more bang for your calorie buck with all the nutrients the dessert has to offer. 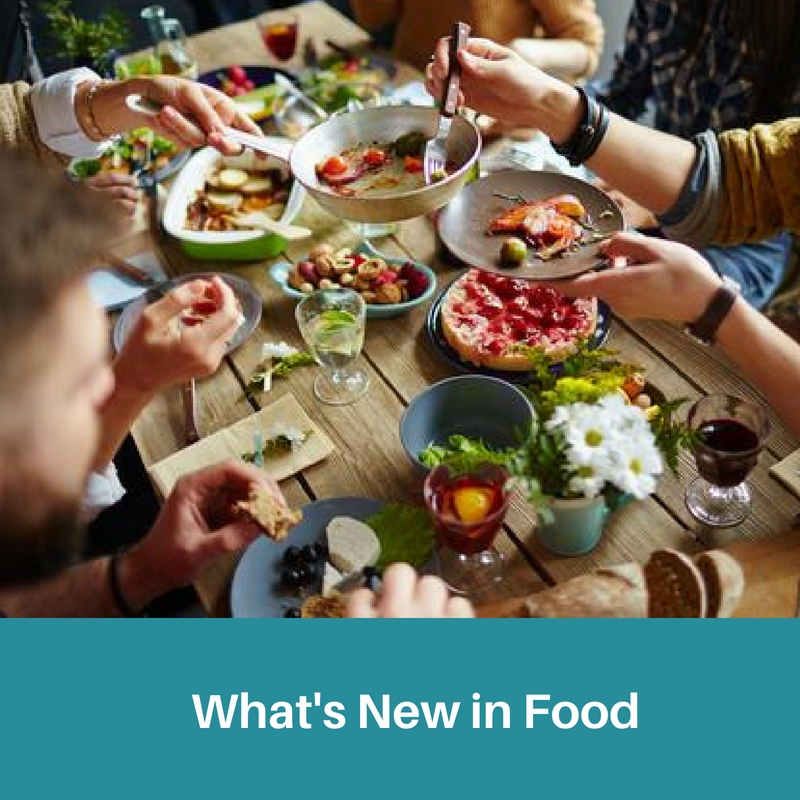 Read on for nutrition information and the best way to buy, prep, and store. Buy: The best fig is plump and not too soft. Prep: Handle fresh figs like eggs. When washing, soak them in a bowl of water for a few minutes. Rub gently because the skin breaks easily. Then rinse and place them on paper towels to dry, with space in-between each one. They mold quickly so you want them to dry fast. 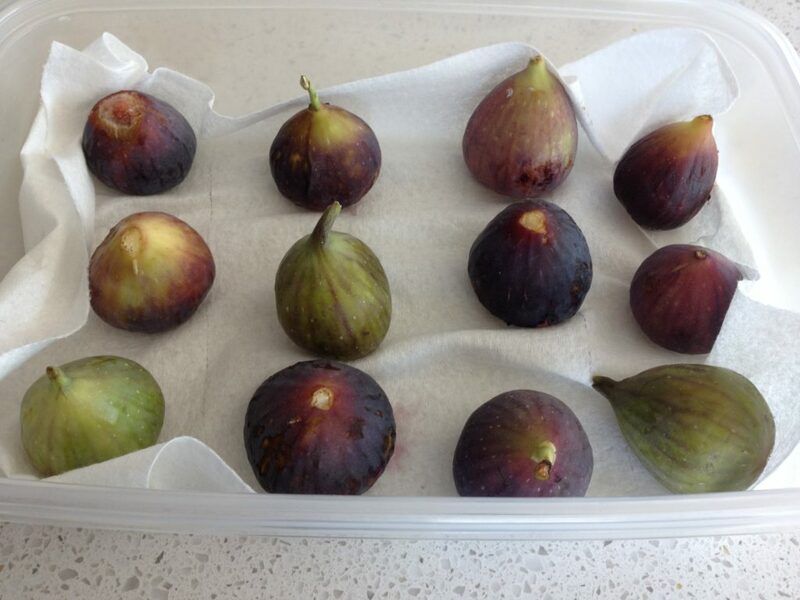 Store: Keep figs in the refrigerator. Store them on paper towels to soak up any moisture, and separate them as much as possible. I use a large Tupperware container and place them as such after they’ve been washed and dried. It’s so rich and filling you don’t need much. In this serving size there are only 178 calories. 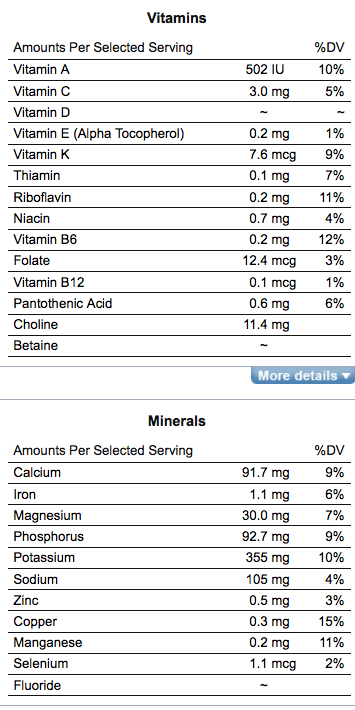 Believe it or not, more Calcium comes from the figs (5% DV). More Vitamin A comes from the goat’s cheese (6% DV). And both offer equal amounts of Iron in this combination. 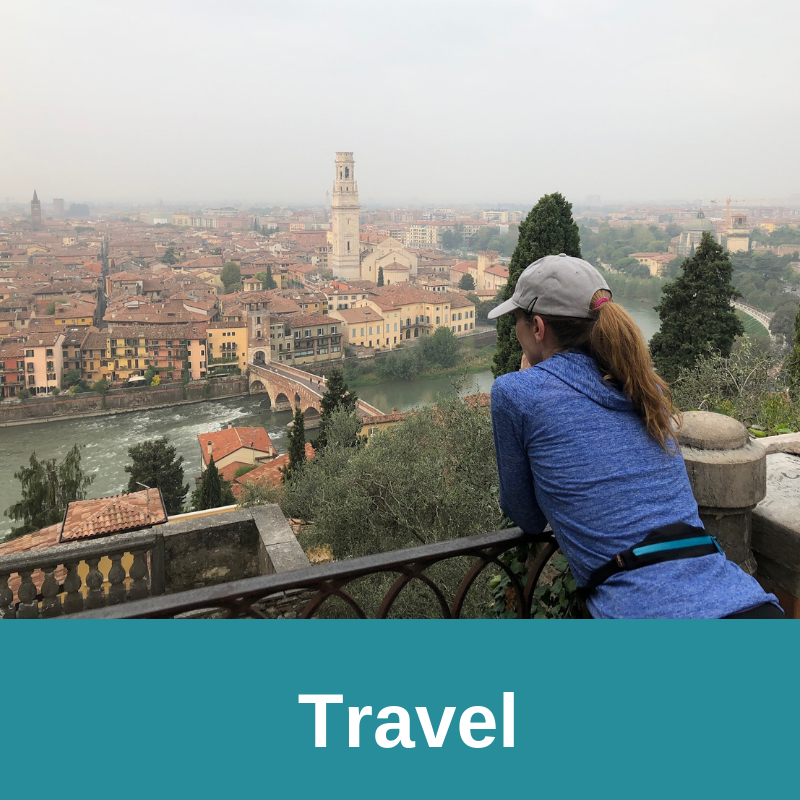 Check out the vitamins and mineral offerings in more detail below.